It is well established that poor inhibitory control confers both a vulnerability to, and maintenance of, addictive behaviors across the substance and behavioral spectrums. By comparison, the role of compulsivity in addictive behaviors has received less research focus. 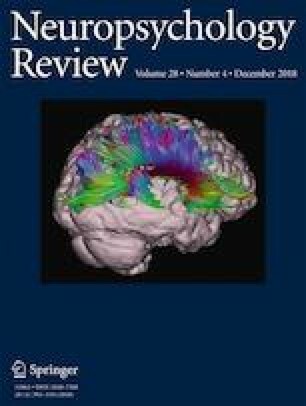 The neurocognitive literature to date is vast, and it is unclear whether there are any convincing lines of systematic evidence delineating whether and how aspects of impulsivity and compulsivity are shared and unique across different substance and behavioral addictive disorders. Such information has significant implications for our understanding of underlying mechanisms and clinical implications for assessing and treating neurocognitive deficits across addictions. Here, we conducted a systematic meta-review of the quantitative meta-analyses to date, specifically examining the neurocognitive functions central to impulsive-compulsive behaviors transdiagnostically across addictive behaviors. Out of 1186 empirical studies initially identified, six meta-analyses met inclusion criteria examining alcohol, cannabis, cocaine, MDMA, methamphetamine, opioid and tobacco use, as well as gambling and internet addiction. The pooled findings across the systematic meta-analyses suggest that impulsivity is a core process underpinning both substance and behavioral addictive disorders, although it is not equally implicated across all substances. Compulsivity-related neurocognition, by comparison, is important across alcohol and gambling disorders, but has yet to be examined systematically. The gestalt of findings to date suggests that both impulsivity and compulsivity are core constructs linked to addictive behaviors and may not be solely the secondary sequelae associated with the effects of prolonged substance exposure. Yucel, M., Oldenhof, E., Ahmed, S. H., Belin, D., Billieux, J., Bowden-Jones, H., Carter, A., Chamberlain, S. R., Clark, L., Connor, J., Daglish, M., Dom, G., Dannon, P., Duka, T., Fernandez-Serrano, M. J., Field, M., Franken, I., Goldstein, R. Z., Gonzalez, R., Goudriaan, A. E., Grant, J. E., Gullo, M. J., Hester, R., Hodgins, D. C., Le Foll, B., Lee, R. S. C., Lingford-Hughes, A., Lorenzetti, V., Moeller, S. J., Munafo, M. R., Odlaug, B., Potenza, M. N., Segrave, R., Sjoerds, Z., Solowij, N., van den Brink, W., van Holst, R. J., Voon, V., Wiers, R., Fontenelle, L. F. & Verdejo-Garcia, A. (2018). A transdiagnostic dimensional approach towards a neuropsychological assessment for addiction: an international Delphi consensus study. Addiction. https://doi.org/10.1111/add.14424.